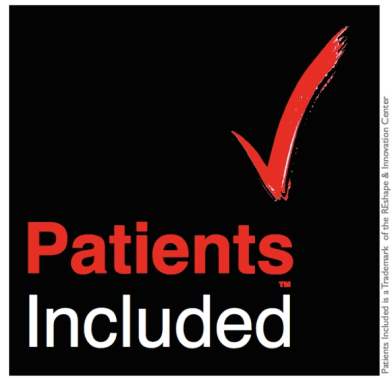 The 17th Biennial European Conference is pleased to announce that it is certified as a Patients Included Conference. Visit the Patients Included website to learn more about the certification program. Many of our researchers already involve patients in their research, but for the SMDM European Conference, this will be the first time that we will certify as a Patients Included Conference. 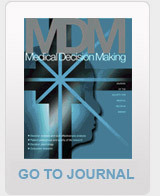 Since the mission of the Society for Medical Decision Making is to improve health outcomes of patients and the public through the advancement of proactive systematic approaches to clinical decision making and policy formation in health care, we are pleased to now include patients in various aspects of research and conference sessions. Patients and caregivers have been involved in planning the workshop, Partnered Research: Effective Partnerships Between Patients, Caregivers, Clinicians and Other Stakeholders. Patients are invited to attend the conference and are welcome to actively participate in all conference sessions. Patients attending the conference have the option to be supported during the conference with a partner from the research community. SMDM will provide at least two scholarships for patient attendees. Our goal is to provide scholarships to as many patients or carers as the budget allows to attend as delegates. The scholarships provide stipends for travel, meals, conference and lodging (if necessary), all of which will be paid in full by SMDM prior to the conference. SMDM extends discounted conference registration rates for patients or carers who do not receive a scholarship. Please contact info@smdm.org with any questions or to register for the conference as a patient or carer. The 17th Biennial European Conference will be held at two venues: Leiden University Medical Center and the Stadsgehoorzaal. These venues are accessible for all participants. An attendee lounge will be available at both venues for conference and patient attendees to rest between sessions. Offsite events at the Scheltema and Mayor’s Office are also accessible for all participants. All conference sessions and offsite events are open for patient delegates to attend. A block of accessible hotel rooms has been reserved at one of the host hotels, the Golden Tulip Leiden. Please contact the hotel directly for specific questions about accessibility. The Twitter hashtag #ESMDM18 will be actively used during the event to highlight scientific discussion for both conference attendees and those unable to attend. The European Conference features a Social Media Committee who will facilitate active discussion on Twitter via the hashtag with virtual and in-person attendees. SMDM will post presentations of those speakers who agree to have their presentations made public on its website for viewing after the conference.